Dignity, we can all agree, is as essential to life as water, food and oxygen. But for some underprivileged communities living in the slums of Jakarta, the idea of well-being empowerment and independence seemed out of reach. That was until those same marginalised communities met the passionate staff from Gerakan Kepedulian Indonesia (GKI), a local Indonesian NGO. GKI works side-by-side with 640 families at Rusunawa Daan Mogot (RDM) to build communities that foster cultured, productive and self-sustaining families to become the future of Indonesia, transforming the lives of those who have less through an integrated, sustainable and productive development model. GKI staff and volunteers have established community development programmes for more than 3,000 families across seven rusunawas (low-cost housing communities) in Jakarta. The numbers are staggering. Taking thousands of people who for generations have lived in the poorest slums in Jakarta, and working with them to design capacity building mechanisms like motivation, aspiration and ambition, is an uphill task. Most of the people living in the rusunawa used to live in the slums of Jakarta—under bridges, along clogged waterways, in shacks stacked on top of one another with no running water or electricity. 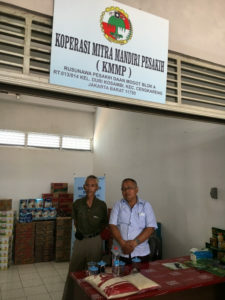 But now with the help of the Governor of Jakarta, Basuki Tjahaja Purnama, they have moved to modern apartments, complete with modern amenities, a park, kindergarten and a hospital. But what makes GKI’s rusunawas different from others in Jakarta? GKI works directly with communities across Jakarta to create self-sustaining projects that value education and prioritise economic livelihood empowerment. With the passionate team they have in place and the leaders at the top who are committed to providing residents with the tools they need, there is no doubt the future looks bright for the next generation of Indonesians working side-by-side with the GKI team. The staff live with the residents of the rusunawa, tackling the issues of dignity and addressing joblessness and poverty head-on. At RDM, GKI worked with the Jakarta government to provide an on-site doctor and a fully-functioning kindergarten for the children. Parents receive business fundamentals workshops and encouragement to become hard-working members of the community. But hard work and transformation takes dedication and perseverance. Arif and the team at GKI and Daan Mogot, on the outskirts of Jakarta, know that transformation doesn’t come without trust. That’s why two staff members from GKI live onsite with the families in the rusunawa they support. The same is true in the seven other rusunawas in which teams from GKI operate. Devotion like this from an NGO in Indonesia is rare. Over the years the GK team has built an amazing amount of trust with the communities. That same trust is leveraged to keep children in school, ensure all children have birth certificates, and encourage mothers and fathers to work hard and make the best future for their families. 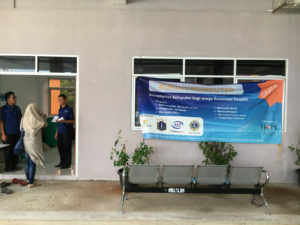 With such an established model, a few APC Indonesian members are working with GKI to combine their resources and expertise in different fields in the community development of another community – Rusunawa Pinos Elok. We will be updating more information on the collaborative community-building project here.